Bottle. Plain, rounded resting surface; high, conical, pushed in base; flaring lower wall. Distinct blowing spirals. Sharp point from poinçon at apex of bottom. 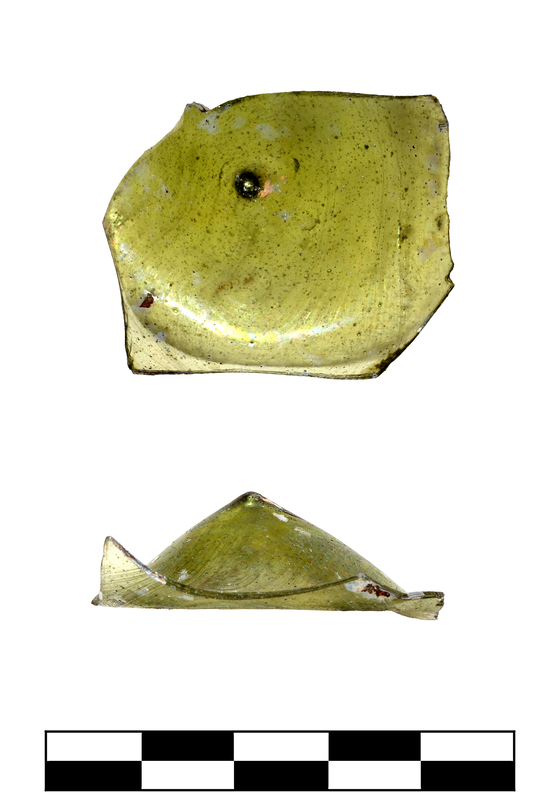 Light to medium yellowish green (PMS 587C-619C), translucent. Numerous pinprick to small, spherical bubbles. 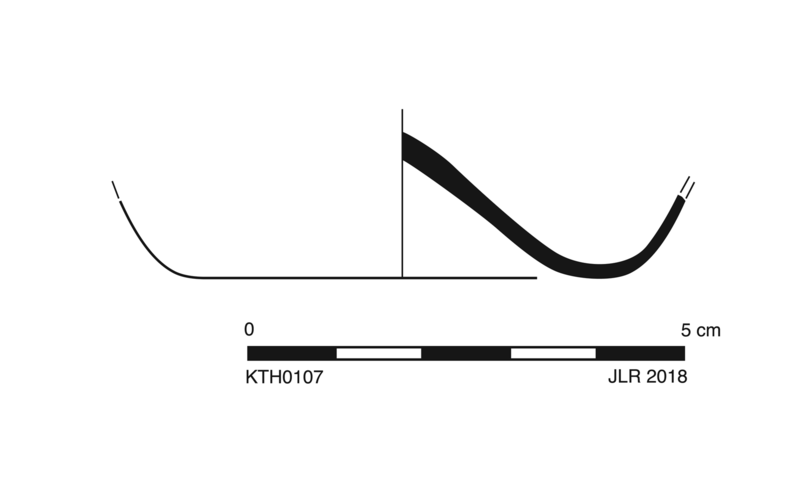 One fragment preserves more than one-half of base. Rare, moderate patches dulling and iridescence; specks of black enamel flaking.